The front of Poly Prep Lower School in my neighborhood, originally the Hulbert Mansion, built in 1889. There is an interesting article over at the New York Times, “Regilding the Gilded Age in New York,” about the rise in popularity regarding anything to do with the Gilded Age in New York, approximately from the 1870s to the early 1900s. I consider myself a modern gal but I do have a soft spot in my heart for the Gilded Age—the art, the architecture, the literature, the jewels, the amazing gowns by Charles Frederick Worth. The Soldiers’ and Sailors’ Arch dedicated to the Defenders of the Union. Of all the eras in New York, and I do think about what it must’ve really been like here during the 1920s or at the height of the Great Depression, or during either of the World Wars, I feel I am closest to the Gilded Age in terms of its presence in my day-to-day life. 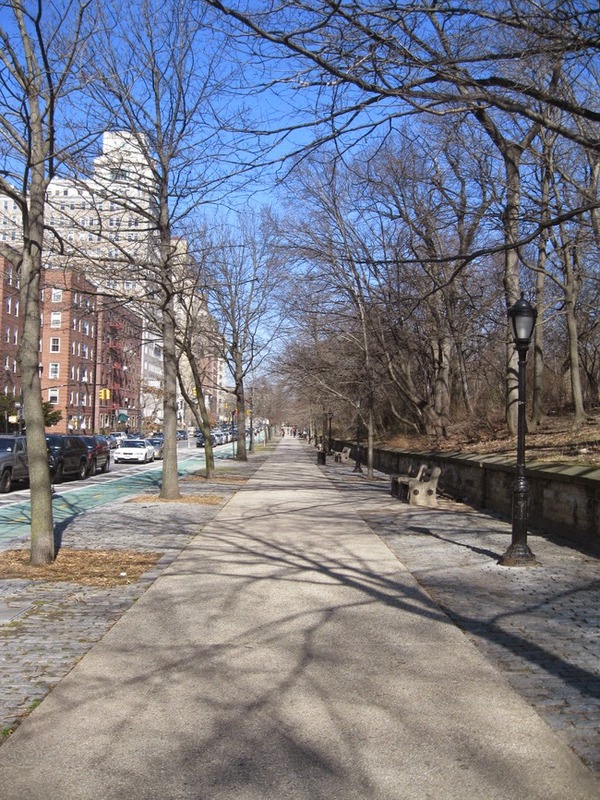 I live in the Park Slope Historic District and the particular house I live in was built in 1910. 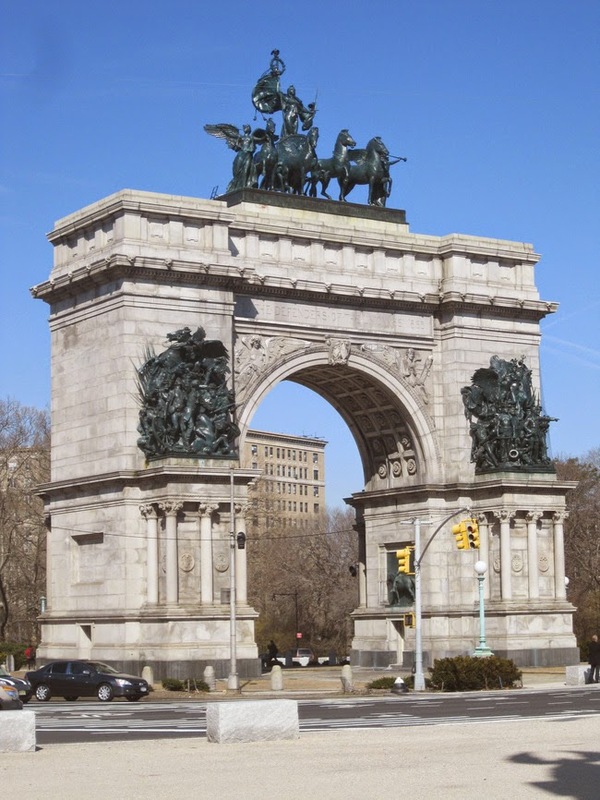 I’m down the street from Grand Army Plaza, featuring the Soldiers’ and Sailors’ Arch, unveiled by President Grover Cleveland in 1892, as well as Prospect Park, a large portion of which was completed in 1873. 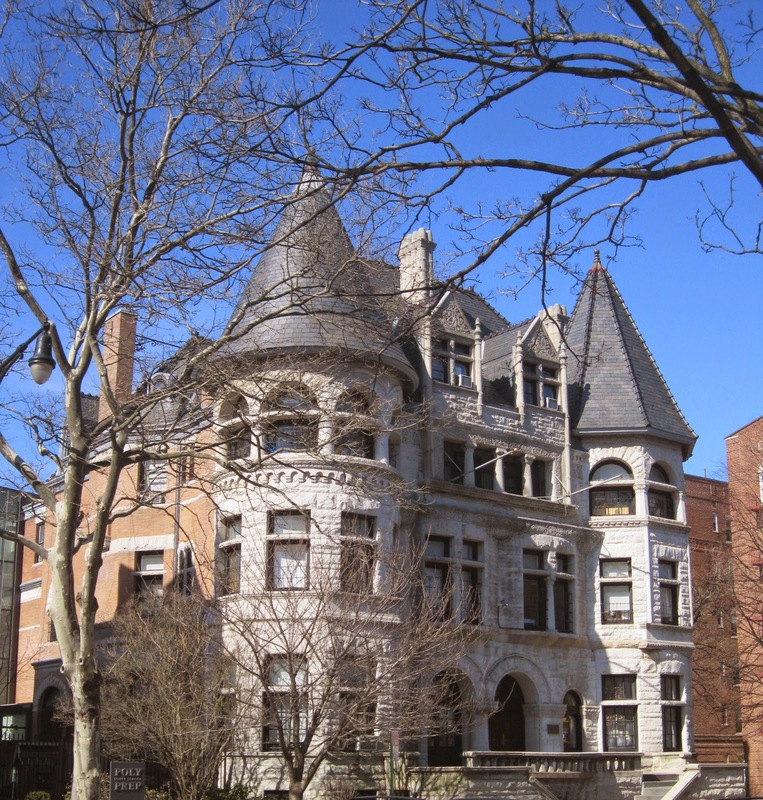 Every time I look out the window or walk down the street I can feel a bit of the spirit of the Gilded Age surrounding me. Along Prospect Park, quite a Gilded Age feel on a foggy night! I thought it would be fun to note a few things that immediately spring to mind when I think of that era in the city. One of the best novels I’ve ever read, also one of the saddest. I actually cried at the end of it, and I don’t normally cry at the end of books. In fact, this is the only novel that has ever caused me to do that. The tale of Lily Bart in The House of Mirth reminded me about the plight of women during that time in history who were unmarried, had no money, no family, and no prospects. This is the part of the Gilded Age that I don’t find romantic at all. 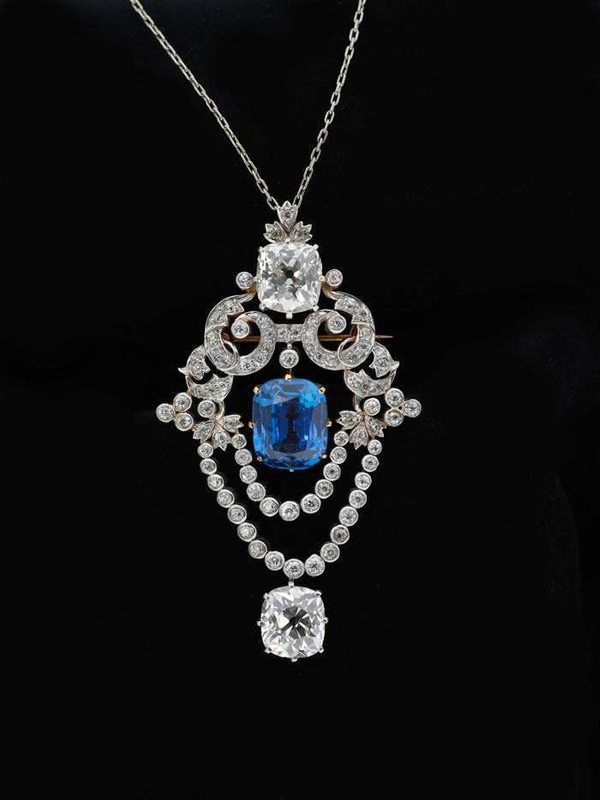 A stunning Tiffany pendant brooch of diamonds and a sapphire, circa 1900. Can you talk about the Gilded Age in New York without talking about the stunning jewelry of that time by Tiffany & Co.? This gorgeous pendant brooch of diamonds and a sapphire set in platinum, circa 1900, is from the exhibit Gilded New York, still on view at The Museum of the City of New York. An 1882 gown by Charles Frederick Worth. I wish I could write him a thank you note because the opportunity to get up close and personal with his gowns are the reason I started my blog (maybe my blog is my thank you note). It’s hard for me to pick a favorite Worth dress since I consider every gown an opportunity to learn about old school (and original) couture, but this 1882 gown is one that is close to my heart. 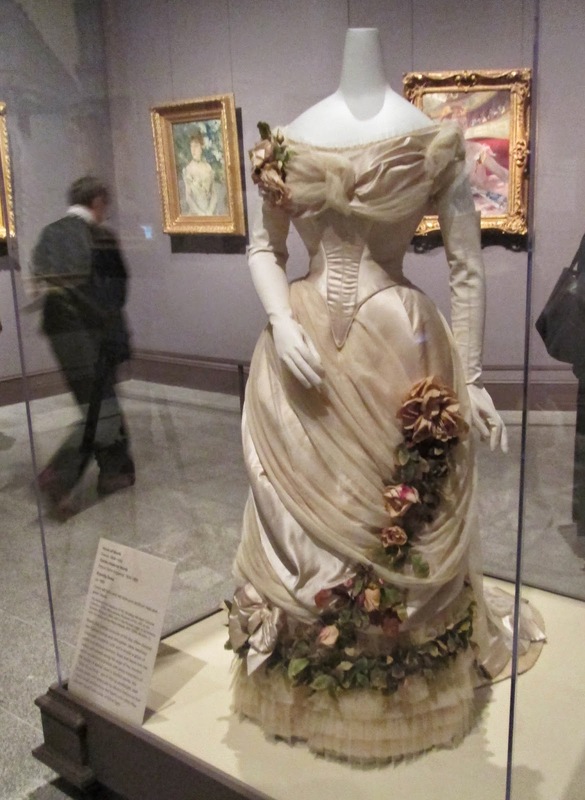 I took these pictures at the Met exhibit Impressionism, Fashion, and Modernity in February 2013. The back of the gown. I love those panels of off-white silk. Note the pleats below them! I know this painting shows a scene from the Gilded Age in Paris, but I just love it and had to include it. It was one of my favorites from the same exhibit the Worth gown was in, easily one of the best—and most creative— exhibits I’ve ever seen. 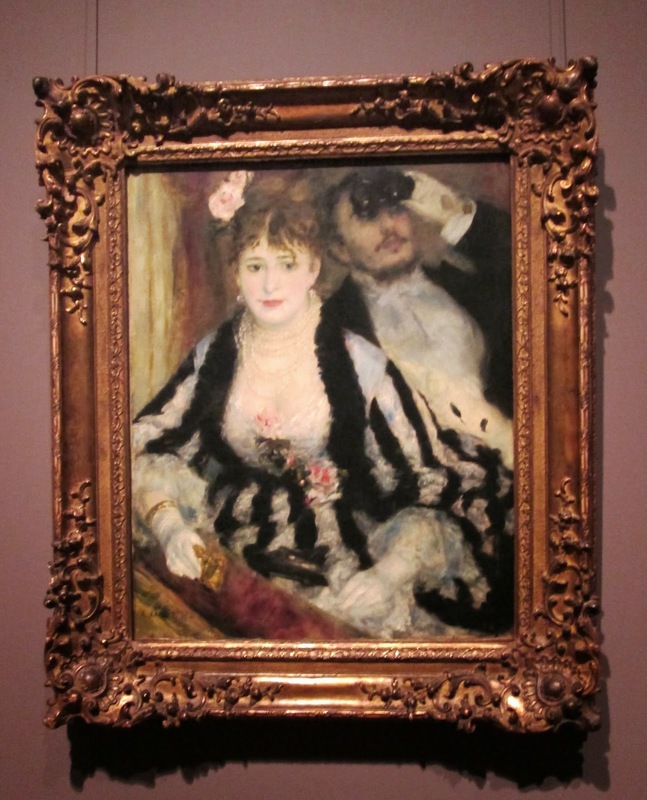 That is Renoir’s brother Edmond as the man in the painting. The lady was Nini Lopez, a model. 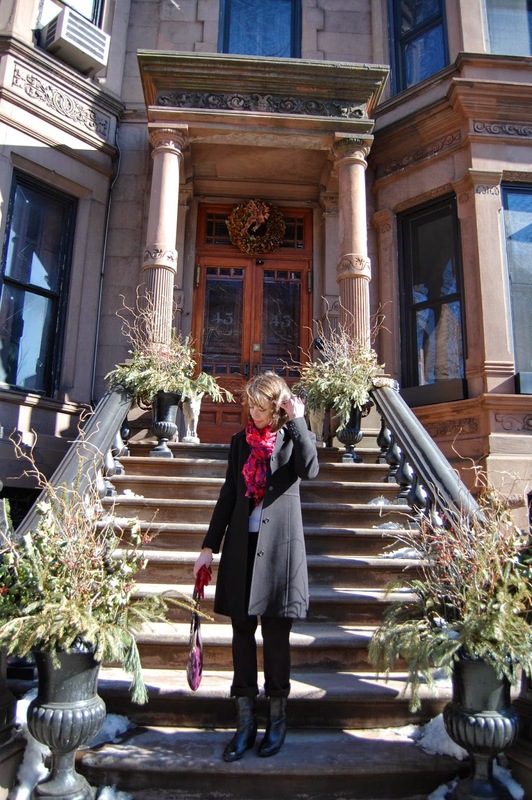 In front of a Brooklyn brownstone. Photo by G. Keresty. They really do feel like something out of an Edith Wharton novel themselves, with their grandeur and curves and gorgeous detailing. My friend Gwynne took these pictures along 8th Avenue in Brooklyn. 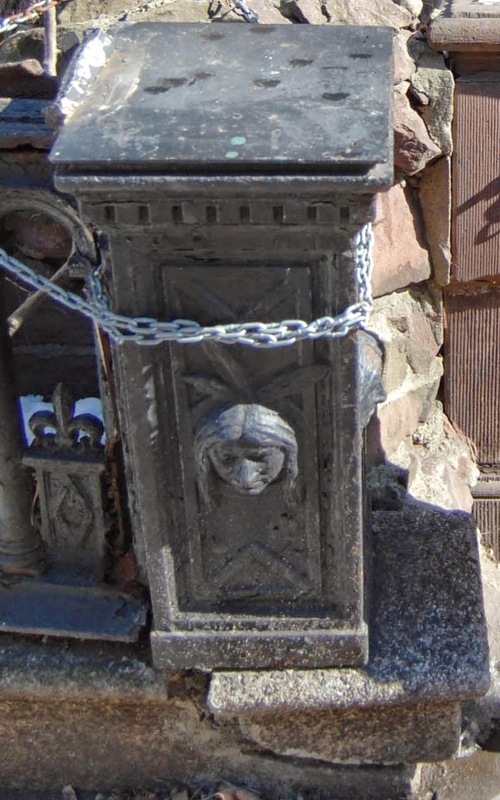 A detail of the face in the pillar. 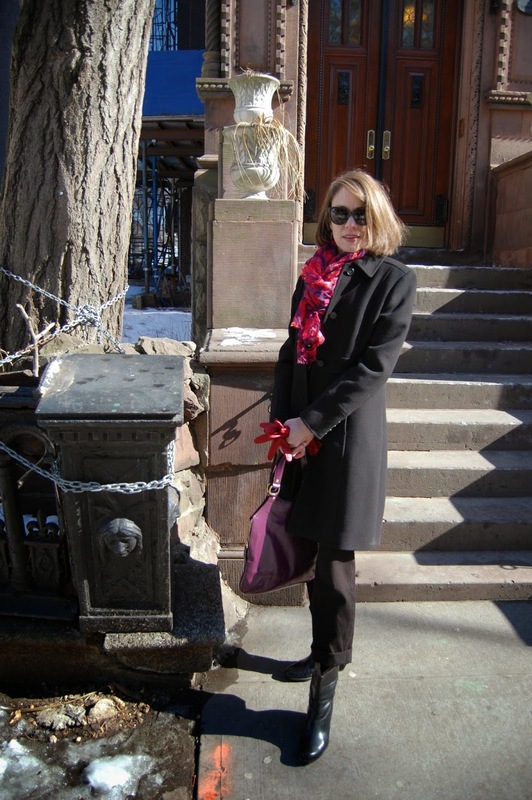 Enjoying my own Gilded Age moment in Brooklyn. This house was built in 1899. 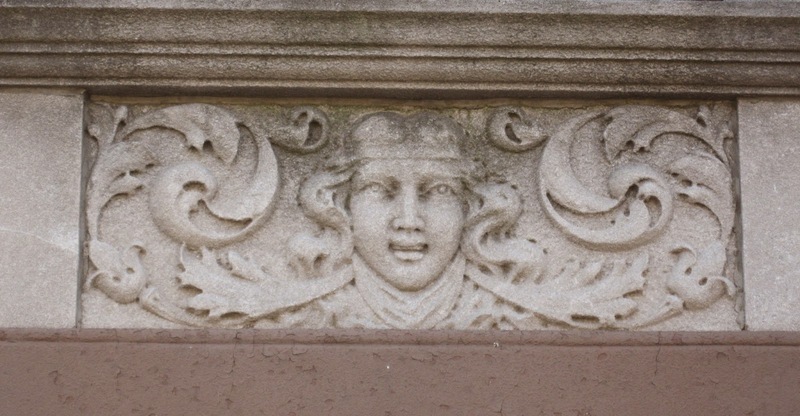 The female face below is a bas-relief on the front of the house I live in. There are different faces on some of the houses along my street. They are a wonderful detail that you have to be on the lookout for because they are not readily apparent with just a casual glance. Are you a fan of the Gilded Age? Is there a particular aspect of it that you love? Tell me everything! I am joining Alice and all the other babes over at Happiness at Mid-Life. Stop by and meet some new people! I love this post, Jill...all of your images and thoughts are so enjoyable. I love to think about history and of course to read about it! I have really been missing NYC this year. Jill, This post is one of my favorites. I love, love the Gilded Age. I grew up in Downtown Manhattan & have seen quite a few buildings from the era (mostly uptown) & probably a few torn down for newer modern buildings (sob). When the Art Deco era was the rage, some beautiful Gilded Age buildings were torn down. While searching with my husband for a wedding venue along with my daughter & son-in-law, we saw many beautiful ultra modern, trendy venues. And I assumed that's what my chic, modern daughter would choose. To my surprise, she choose The Metropolitan Club designed in the late 1800's by the popular, albeit notorious architect Stanford White. He was the epitome of the Gilded Age until he was shot by a jealous husband. It was the biggest scandal of the Gilded Age. The Metropolitan Club is Gilded Age all the way & I am so happy that's what she chose. I love this era too Jill and had a great-grandfather that was born in your neighborhood, and must find out more on his early years. 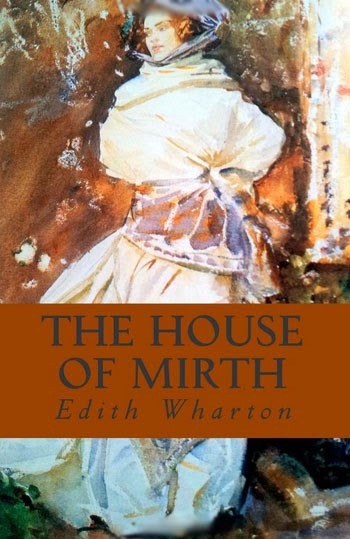 I loved House of Mirth and Edith Wharton among my favorites. Hi Rosie! Oh thank you so much for the compliment, you always make my day with your kind words. I also love everything you tell me about NYC, I love learning things about the city from YOU! I also think it is so great your daughter and son-in-law got married at The Metropolitan Club. Wow, what a location! It must've been so gorgeous. As for ol' Stanford White, my he was a bad boy, wasn't he. I know about him! Side note: My husband used to work with one of Stanford's great-grandson's at the architecture firm of Platt, Byard, Dovell, White. Oh what a small world architecture is. Ha. Jill, i am so glad to have you join up!! I love these photos you shared - can i have that Tiffany brooch?